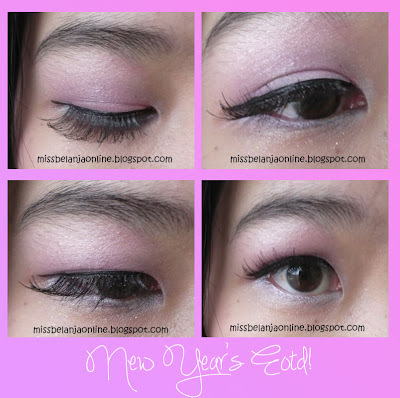 My Beauty Diary: FOTD/EOTD: Happy New Year! Yes, I'm still in the mood of new year~ Actually I have a sad experience this year. Yes, it is still early of 2013 and I already experience a heart broken. It is not a big problem for other people and maybe can be considered very small, but for me, it is quite big to make my heart ache. But, I will not talk about it on my blog la~ I will not bother you with my problem :D.
This is my favourite picture! hehehe I edited the color a little so it looks more soft. 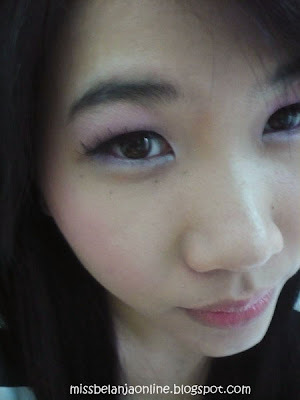 Btw, I used Etoinette Heart blusher for this FOTD, can you see the color? I want to share with you about my little haul. This is the last beauty products that I bought in 2012. ZA Lipstick in Red Coral. I've mentioned it on my twitter, that ZA counter at Grand Palace Surabaya had a special year end discount for all the products. The price of the lipstick itself only IDR 58,8K from IDR 98K(Normal price) really cheap, right? hehehe. Btw, I used this lipstick on my FOTD pictures above. The color is really nice and wearable for everyday. The second item is Maybelline Eye and Lips Remover. This is the first beauty product that I purchased in 2013. This is my favourite makeup remover. The packaging is quite sturdy and it does a great job to remove waterproof makeup. 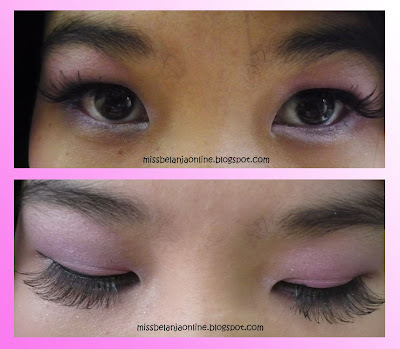 Love your Eye Make Up definitely >w< Like a butterfly.. Anyway, that's good when you keep smiling although you feel sad deep inside :') Be strong!! Salut buat Shasha, even when u are sad, u decide to smile and try to be happy. U even made a great FOTD. And u know how to cheer up ur readers with ur lovely post and pics. Aw you're a really cute girl shasha, don't let the heartache bother you too much. Hope your feeling better now!